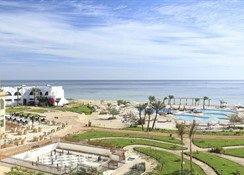 The Three Corners Equinox Beach Resort (phew) is one of those resorts that takes your breath away. Lagoon style pools, lawns and palm trees lead you down to the sandy beach. 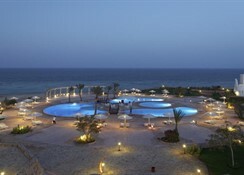 This resort is blessed with a breeze that cools in the summer and warms in the winter. 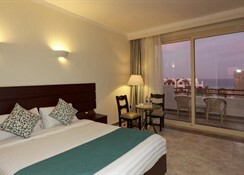 Great for a family holiday with sun, sea and sand in mind and a touch of elegance to make you feel a little special. 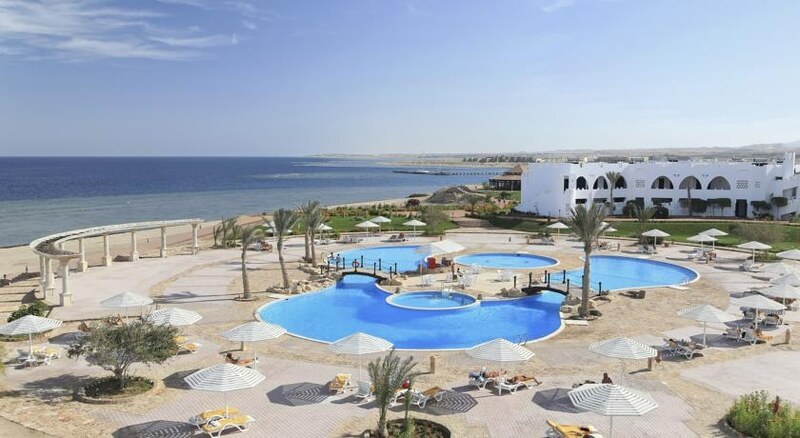 This area of Marsa Alam is still recommended as one of the top diving and snorkeling sites of Egypt. Great choices for dining; buffet restaurant, the à la cart Italian Dolce Vita Restaurant, four bars and a Nubian Corner to enjoy your “shisha”. Free WiFi at the Lounge Bar and Terrace. Lots of water! 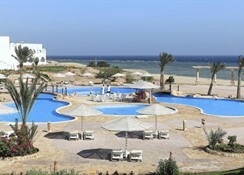 Long soft beach and large swimming pool surrounded by a magnificent green landscape. There is the Trixie Kids Club with morning and afternoon entertainment, plus the pool area with a shallow kid's pool area and playgrounds. Plenty of options for divers, snorkelers, wind surfers and kite surfers down on the beach. The spacious guest rooms are light and contemporary retreats; elegant and stylish, all have a gorgeous en suite, air-con, satellite TV, radio, IDD telephone, mini fridge and a safe. There’s a lovely furnished terrace or balcony with a direct or partial view over the sea or over the green gardens and the stunning surroundings. Equinox Beach Resort is one of the few places in the world where you can dive and swim with the endangered dugong "sea cow”. There are two semi-permanent residents who are known by the nicknames of Dennis and Dougal. Also the bay is host to giant sea turtles. An easy taxi ride from the airport to the hotel.